Speedrunning has become quite the phenomenon over the past few years. 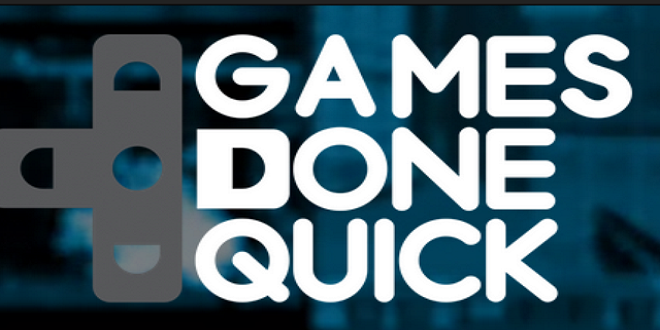 There are a couple of larger speedrunning events that take place annually, being Awesome Games Done Quick and Summer Games Done Quick. 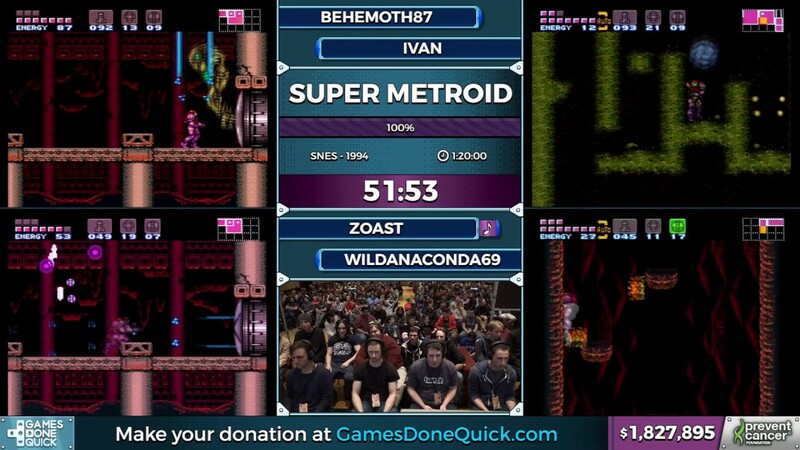 For ease most people just call these AGDQ and SGDQ respectively. AGDQ is the larger of the two, and they both raise money for charity with donation incentives, monetary goals for new and different events. AGDQ runs at the beginning of the year, with it running on January 8th through the 15th and SGDQ will be running from July 2nd through the 8th (technically it ends on the 9th at 12:02 a.m.). In January, AGDQ raised over 2 million dollars for charity, which is the most they have ever raised by far. They had the event held in Hilton Washington Dulles in Herndon, Virginia. One million of these dollars was raised in just a single day. There have not been any other GDQ events that have even come close to this. AGDQ was raising money for the Prevent Cancer Foundation as they have since 2011, and SGDQ will be raising money for Doctors without Borders, as they have since 2013. In 2016 there was a total of roughly two and a half million dollars raised between both of the events, and AGDQ 2017 raised just three hundred thousand shy of that total, so everybody is looking forward to AGDQ 2017 to break the three million total mark. For this year’s event, SGDQ will be hold in the Minneapolis Marriott City Center in Minneapolis Minnesota. The schedule has already been posted and there will be a large amount of different speedrunners from all different backgrounds that will be running, as well as a lot of other events that are ready to be done assuming their respective donation goals are met. Personally I am looking forward to the Super Panga World run, which is a ROM hack of Super Mario World. These are basically games that are made to be insanely hard simply for the fun of it. I heard somewhere one of the best descriptions for the reasoning behind this a while back. They said that people go to Kaizo, which basically means (rearranged and harder) because Nintendo gave us these toys to play with, but we have had them for years and they won’t give us more toys to play with so we have to take the same old toys and make them into something new and different. Mario Maker pretty much enabled this with the introduction of a new way to create these ROM hacks which have existed for a while, except this is actually approved by Nintendo instead of having to create these things behind closed doors. There will also be speed runs of many classics such as Diablo 2, Super Metroid (which I am pretty sure runs at every single GDQ event), Megaman 4, Legend of Zelda: A Link to the Past, Mario Kart 64, and roughly a week straight of other games. Keep in mind that this event runs pretty close to 24/7 for the times that they event is going on, and even just watching the stream will help out and they will be able to donate some of the money to the charity. So even if you cant donate, just tune in and you will be doing more than enough to help out, and you get some of the best entertainment I have seen in quite a while. You can find the livestream on Twitch.tv when the event becomes live.